When most people think of the Jeep Cherokee, they picture the somewhat boxy original – known as the XJ – a car that enjoyed nearly 18 years in production. 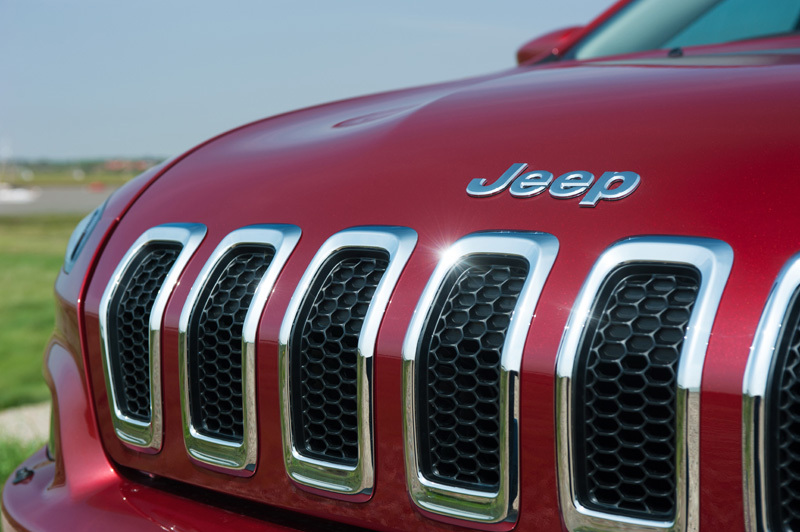 More than once has it been described as one of the greatest cars of all time, and even now, 14 years after production ceased, it still casts a long shadow over everything Jeep does. When it was originally launched in 1984, the Cherokee introduced a new unibody design that did away with the heavy ladder-frame chassis of its competitors, and this allowed the XJ to offer greater economy through its reduced weight. 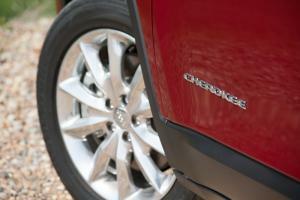 In what may seem like history repeating itself, today’s Cherokee takes an equally radical approach to its underpinnings. 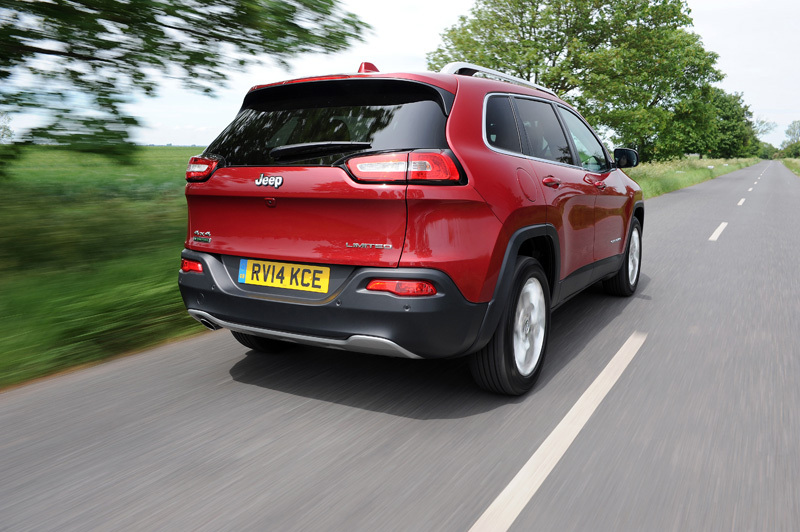 Based on the same platform as the Alfa Giulietta, the new Cherokee hopes to offer the car-like road manners that are demanded by today’s SUV and crossover buyers, but the challenge is to achieve that without compromising Jeep’s famed go-anywhere capabilities. 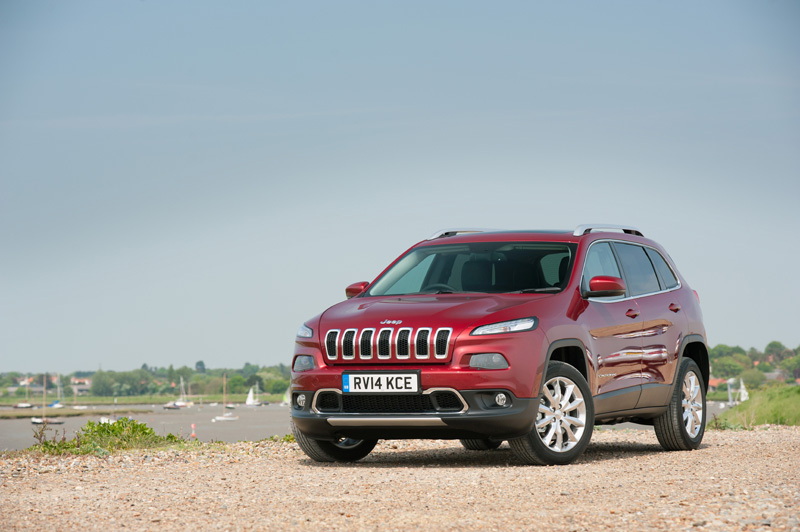 While the styling continues familiar Jeep cues such as the squared-off wheel-arches and the seven-slot grille, it’s clear the Cherokee owes more to new parent Fiat than it does to Chrysler. It’s certainly proved to be a somewhat controversial design, and it would be kind to describe it as not universally liked. It’s a design that also has implications for practicality, and while forward visibility is just fine, the expansive tailgate and small windows make rearward visibility a challenge. Much of the interior is modelled after that in the Grand Cherokee – a good thing – although some of the materials aren’t up to the same standard. Space in the front is respectable, although the driving position is more upright than some people will be expecting, and while the seats offer a useful range of adjustment, the steering wheel appears to be angled away from the driver rather steeply, even in its lowest setting, and this we found to be tiring on the wrists. There are a number of small storage areas dotted around the cabin, such as the lidded compartment on top of the dashboard and the cubby under the centre armrest that’s also home to a CD drive and USB ports, although the door bins are rather stingy and offer space for a small water bottle but little else. One particularly neat touch, however, is the option of a Qi wireless charging pad under the centre armrest to charge your phone, a feature we wish more manufacturers would adopt. 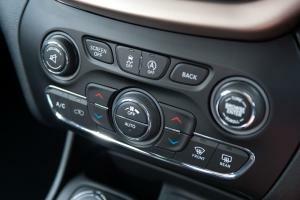 The instruments are clear and offer a number of customisation options, while the centre stack is home to Jeep’s Uconnect system that offers navigation as standard on all but the entry-level Longitude model, plus DAB digital radio, Bluetooth connectivity and the ability to play music from your iPod, a USB stick or even an SD card. Rear-seat accommodation is respectable, too, although models fitted with the optional sunroof offer somewhat restricted headroom. 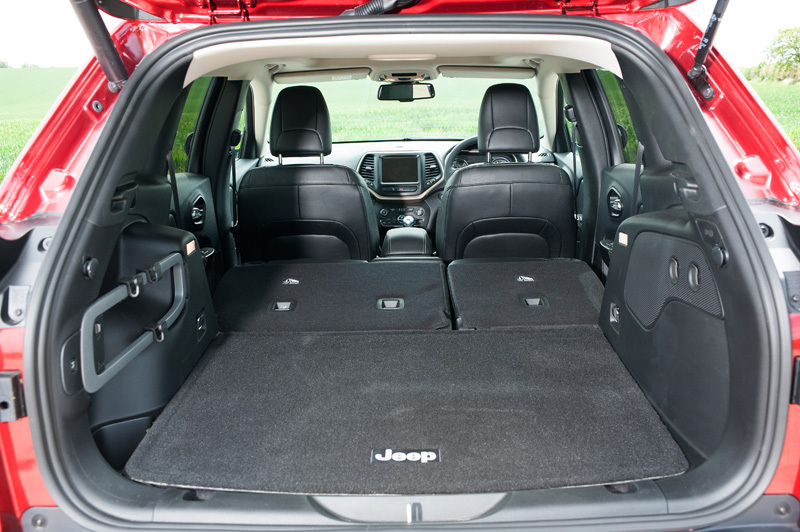 Oddly, the rear seats can be slid forward – ordinarily this is to create more cargo space, but since sliding them forward robs rear-seat passengers of all leg-room, it’s easier just to fold them flat instead. 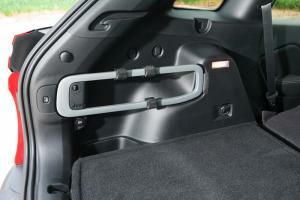 Annoyingly, the headrests can’t be removed or tilted, thereby requiring the front seats to be moved forward before the rears can fold, and this also prevents them from being returned to their original positions. The boot offers 591 litres of space with the seats in place, rising to 1,267 litres with the seats folded. 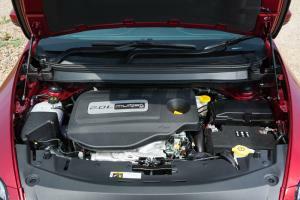 Limited models feature a power tailgate as standard, but all models are also equipped with the fiddliest cargo cover we’ve ever seen. It uses a pair of extra flaps that clip on to the rear headrests to conceal anything stored in the boot should you have the seats slid forward, but in reality they spend their time flapping about in your way like an attention-seeking elephant. 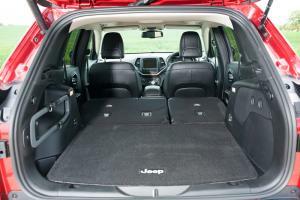 If you follow the stowage instructions printed on the cover – in a size so large as to indicate Jeep is aware of the poor design – it still flops about in your shopping, and even if you remove it completely, there’s nowhere to put it. Other than the bin. 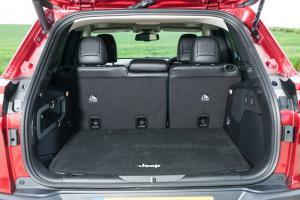 The underfloor compartment is reserved almost entirely for the spare wheel (a full-size wheel is an option), and this also gives rise to a particularly high boot floor. 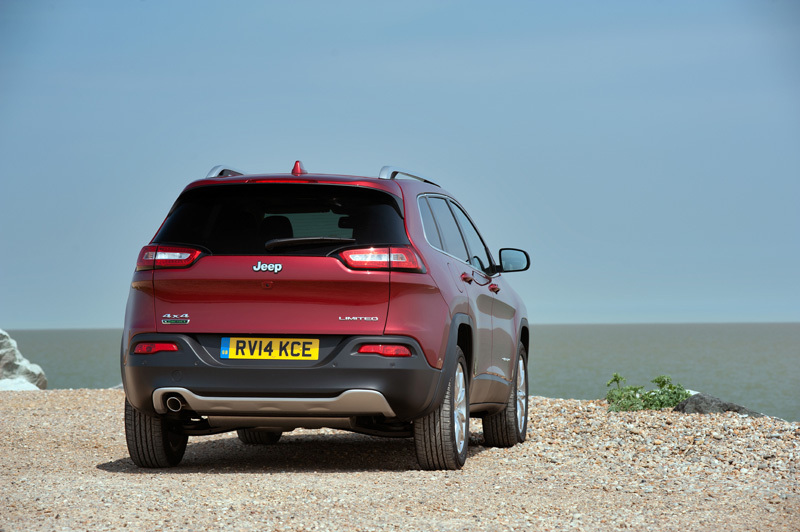 There are, however, a generous number of load hooks dotted around, plus Jeep’s Cargo Management System, to which you can attach various accessories. 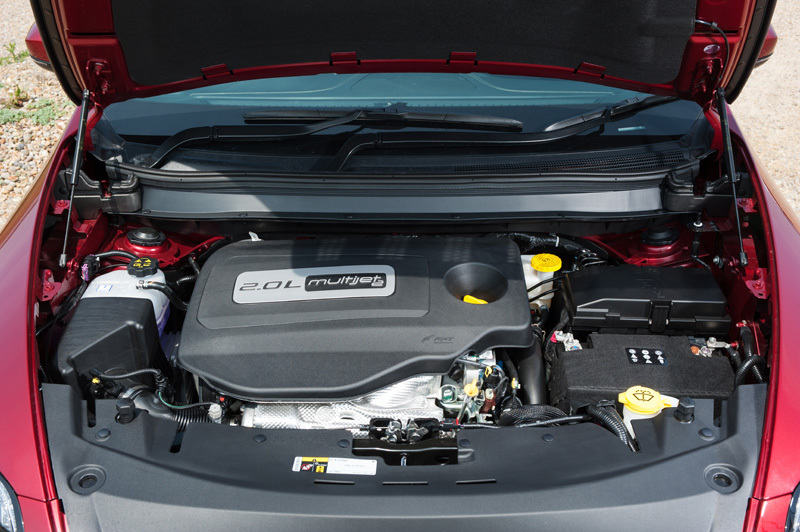 Driving all of this is a pair of 2.0-litre turbodiesels from Fiat with either 138hp or 168hp, plus a 3.2-litre petrol V6 that’s reserved for the special-order Trailhawk model. 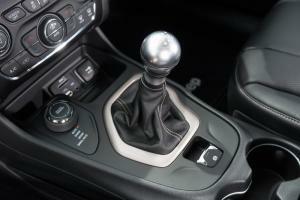 The 138hp unit is mated to a six-speed manual transmission with either two- or four-wheel-drive, while the 168hp engine is available only with a new nine-speed auto and 4WD, making use of what Jeep calls its Active Drive system. 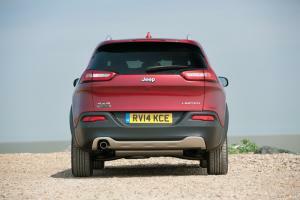 Unlike previous Jeep models, there are no clever locking differentials to help in the search for traction. Instead, the new Cherokee relies on its electronic traction control to direct engine torque away from a spinning wheel by applying the brakes individually. While Jeep isn’t alone in adopting these brake-based electronic systems in place of a proper mechanical traction aid (largely in the interests of saving weight and thereby improving efficiency), we did encounter a few situations during our testing where the traction control tried to apply the brakes to a spinning wheel so aggressively that it caused the engine to stall. The Jeep’s bigger problem, however, is its lack of ground clearance, with a maximum of only 157mm, a figure beaten easily by a two-wheel-drive Suzuki S-Cross, and during our testing the Cherokee would drag its belly over obstacles that wouldn’t trouble a Subaru. In fact, with the exception of the special-order Trailhawk and an expensive high-powered diesel model, the Cherokee doesn’t even have a low-range transfer box, and although 4WD models are equipped with Jeep’s Selec-Terrain control to switch between Auto, Snow, Sport and Sand/Mud modes, realistically this is just fiddling with a few electronic parameters rather than physically reconfiguring the Cherokee for battle. Unfortunately the Cherokee’s issues aren’t confined to its off-road performance. The six-speed manual transmission can be a little obstinate, particularly between first and second gears, and the oversized gear-knob isn’t particularly comfortable in the hand, either. There’s quite a substantial degree of driveline shunt in first gear, too, and this can make progress in slow-moving traffic wearing. We also discovered a few situations where the electronic parking brake released itself prematurely during a hill-start, resulting in an unexpected roll backwards towards the car behind and quite a bit of swearing. The brakes offer a reasonable amount of power, but the pedal is hampered by excessive travel that’s accompanied by a variety of clanking noises. Rather than relocate the brake servo on right-hand-drive models, Jeep instead ran a long metal bar from one side of the engine bay to the other, and it’s this rather Heath Robinson contraption that’s the guilty party here. Out on the open road, the diesel engines fill the cabin with a rather uninspiring mooing sound, while at higher revs their tone becomes coarse and grating. It’s not difficult to feel left behind by faster moving traffic in the 138hp model, either, as evidenced by its 12-second 0-62mph time. Things calm down once up to speed, but here the Cherokee exhibits a rather choppy quality to its ride and an unfortunate lack of body control during cornering. Couple this with steering that’s almost completely lacking in feedback and while the Cherokee isn’t desperately unpleasant to drive, it’s a shame that Jeep’s first foray into using a car-based platform hasn’t resulted in a matching set of road manners. There is one problem, however, that’s bigger than all the rest, and I’m afraid there’s no way to disguise the fact that the Cherokee is just too expensive. 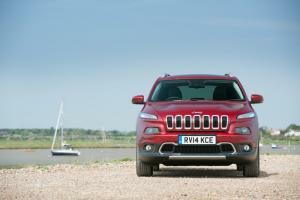 The range starts at £25,495 for an entry-level 2WD model, with our 138hp 4WD test car coming in at £34,370. 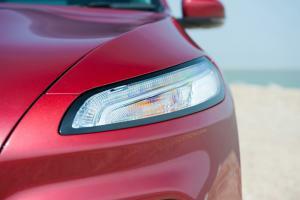 If you want the 168hp model with a low-range transfer box, you’ll need to cough up £37,195. 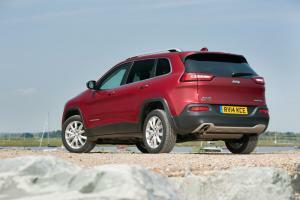 That’s nearly the price of a Grand Cherokee, and I have to say, that’s a much better car. 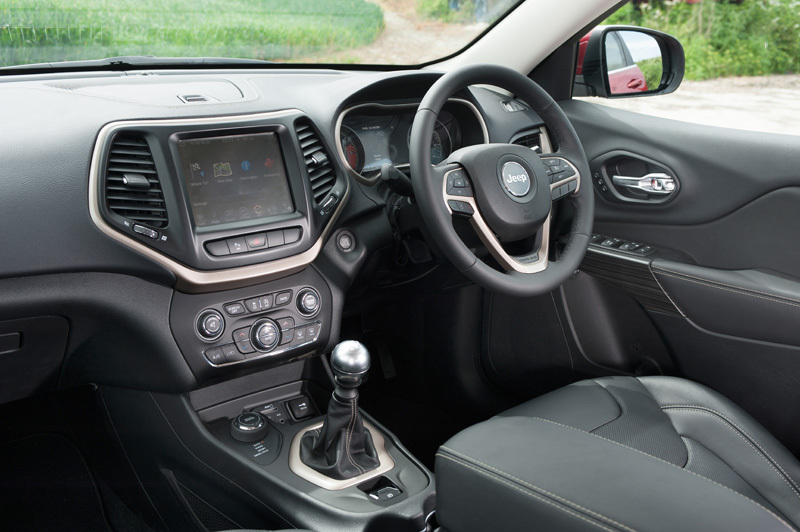 To put those prices further into perspective, the Nissan Qashqai starts at just over £18,000, while something like a fully-loaded top-of-the-range Mazda CX-5 costs only a smidge over £29,000. 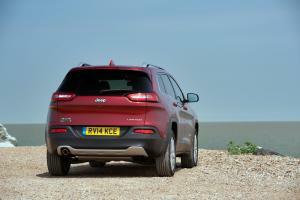 Even a new Discovery Sport can be yours for a touch over £32,000. 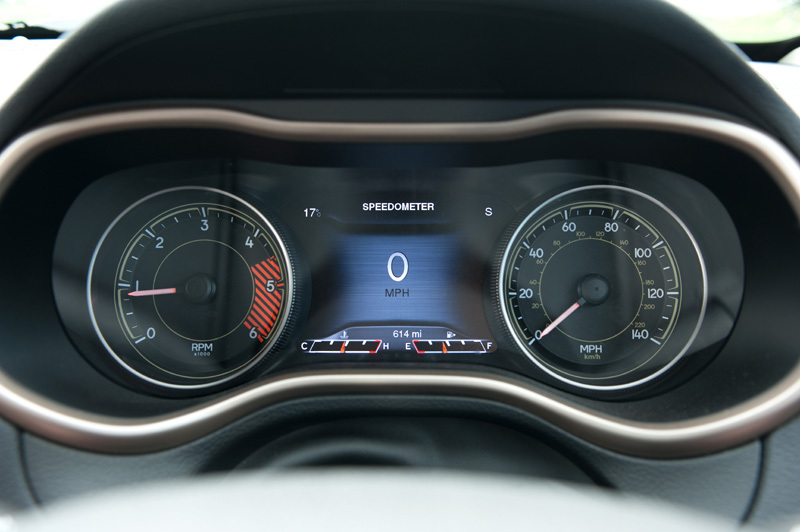 Equipment levels are only adequate, too, and while the entry-level Longitude model includes cruise control and climate control, the real niceties such as HID headlights, power tailgate, automatic wipers and power seats are reserved for the range-topping Limited model. In truth, the Cherokee feels for all the world like it was rushed to market, and that’s a feeling that comes across not just in its decidedly average on-road dynamics and its poor off-road performance, but also in many of its details. For instance, most cars with a start button allow you to press the button once and let the engine start itself, leaving you to put on your seat-belt and get yourself comfortable. The Cherokee, however, demands that you hold the button until the engine has started, and on diesel models that means you need to keep the button pressed during the pre-heat cycle as well as during cranking. 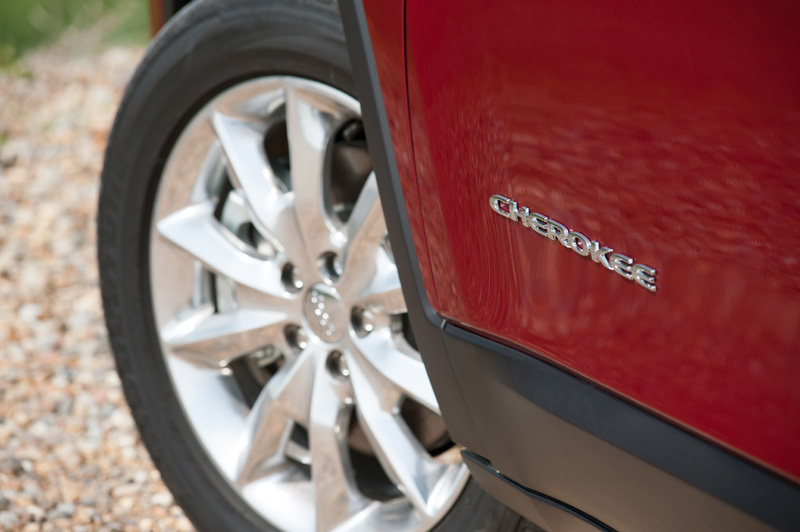 A minor detail, perhaps, but couple that with the poor right-hand-drive conversion of the braking system, the parking brake that can’t decide if it should release automatically or not, and a multitude of other minor annoyances, and the Cherokee begins to sound like a disappointing ownership proposition. 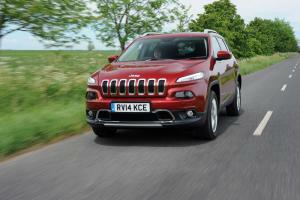 If the Cherokee wore a Fiat badge and a hefty price cut, it would make more sense. 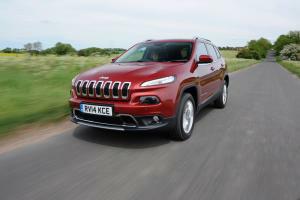 As it stands, however, it’s difficult to arrive at any conclusion other than the new Cherokee is both overpriced and underwhelming.